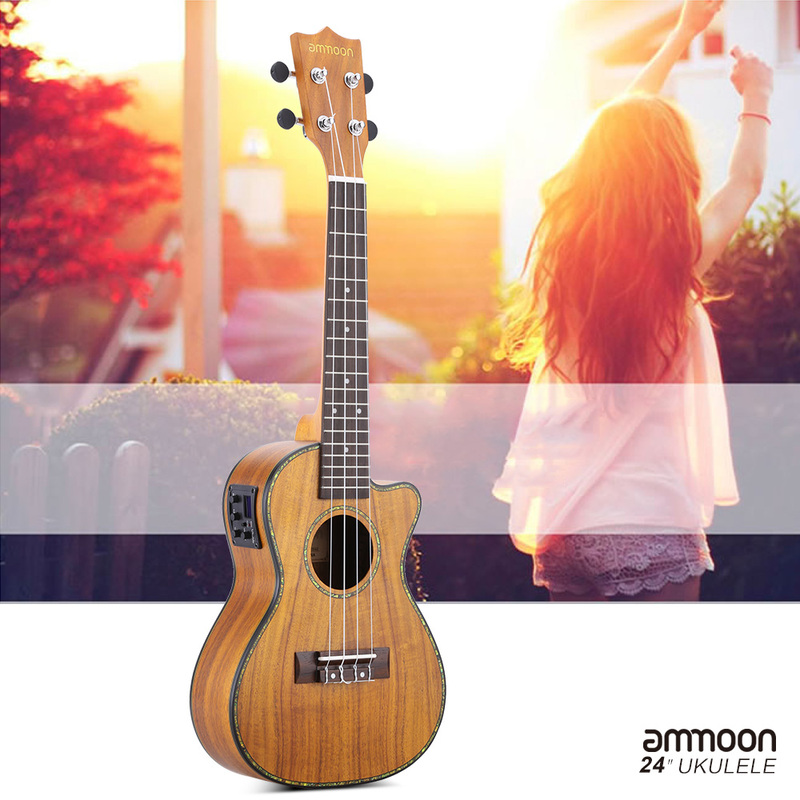 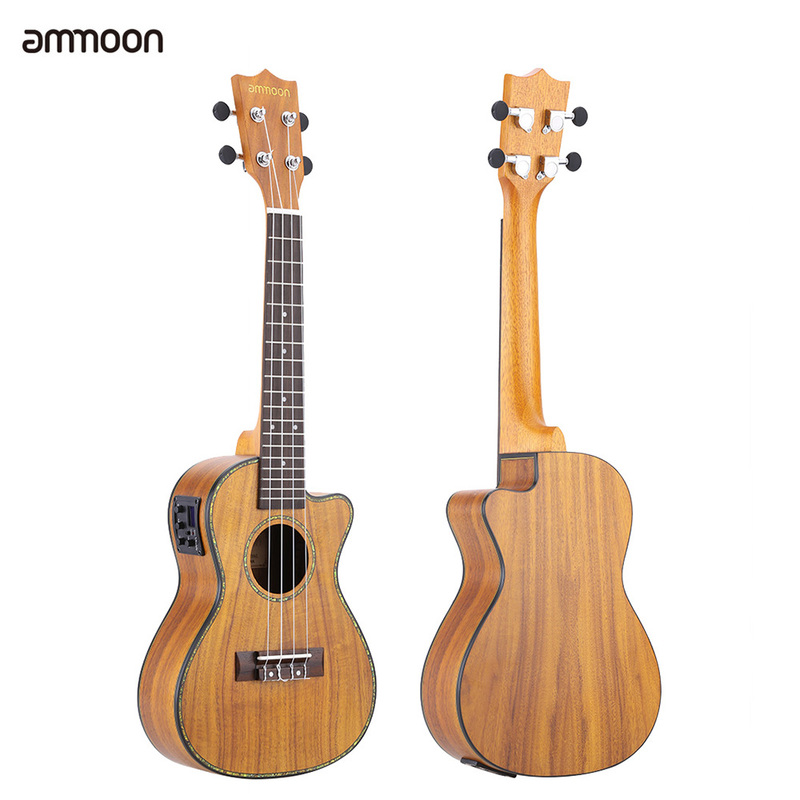 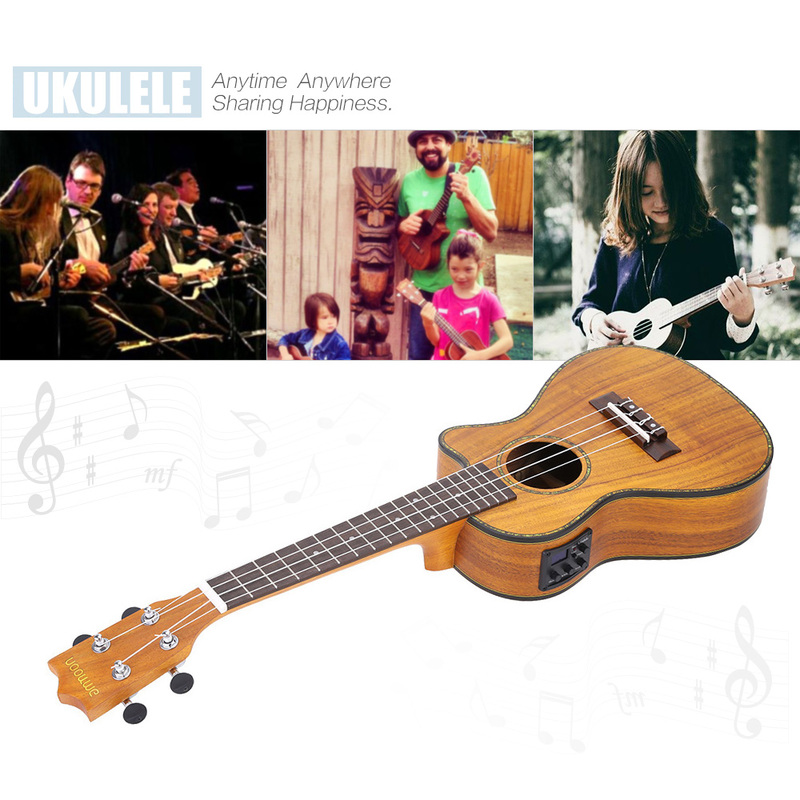 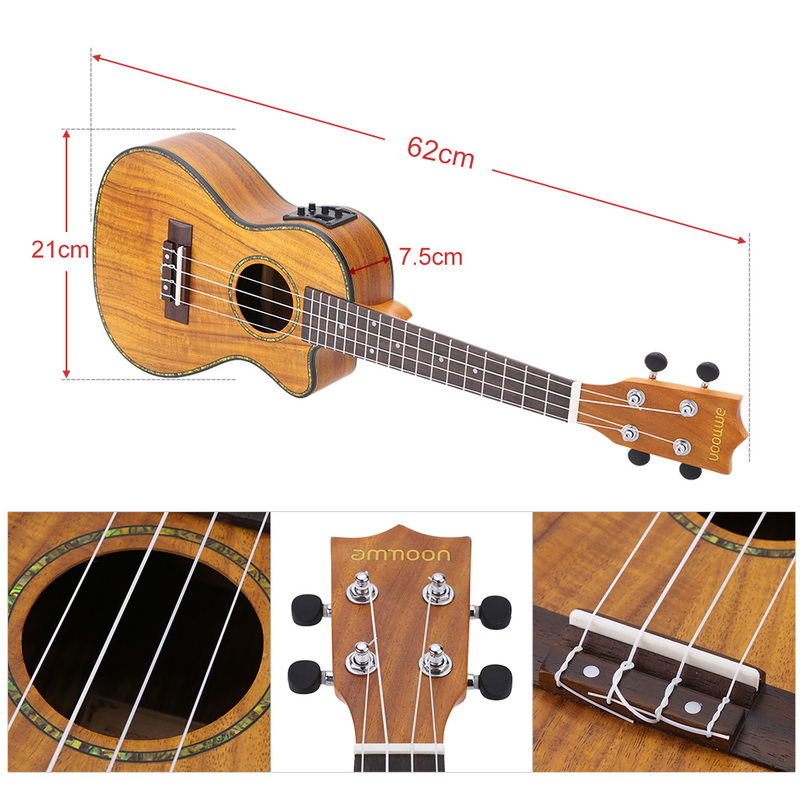 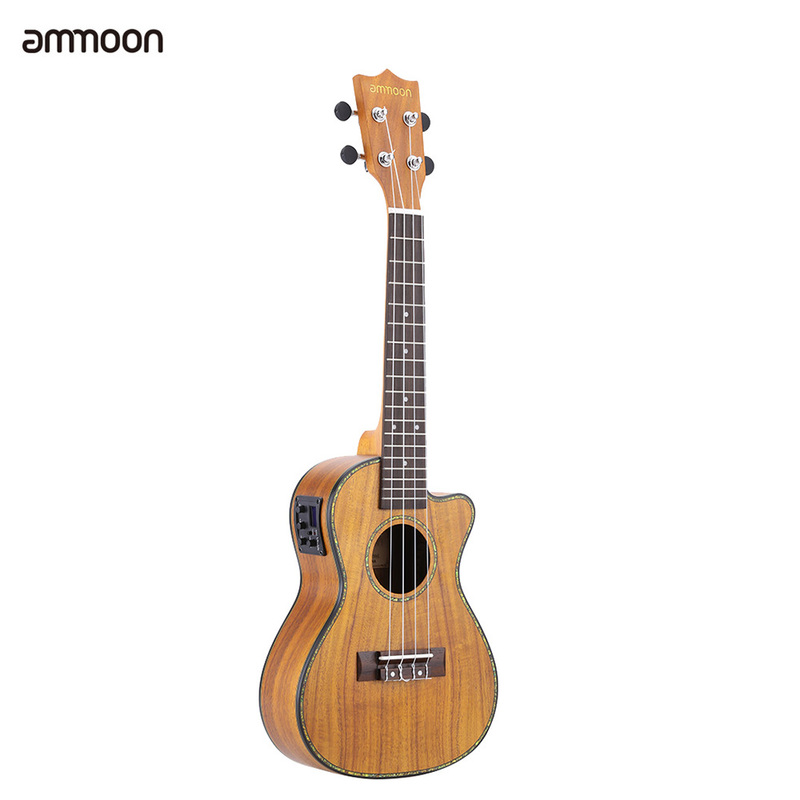 This 24" ukulele of cutaway design is equipped with a equalizer for a better music experience. 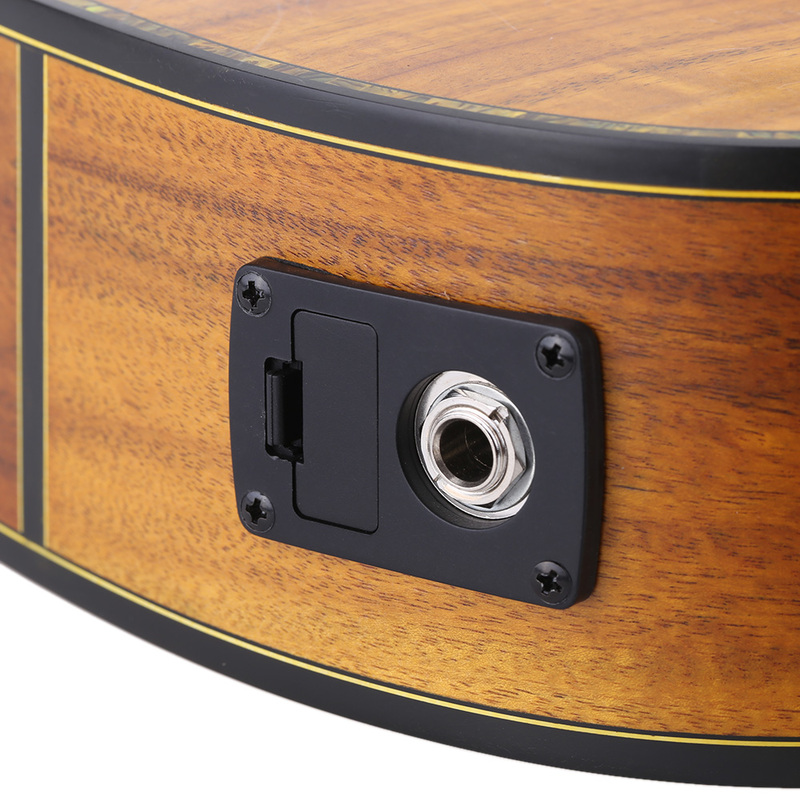 It can boost the sound and connect to computer / loudspeaker. 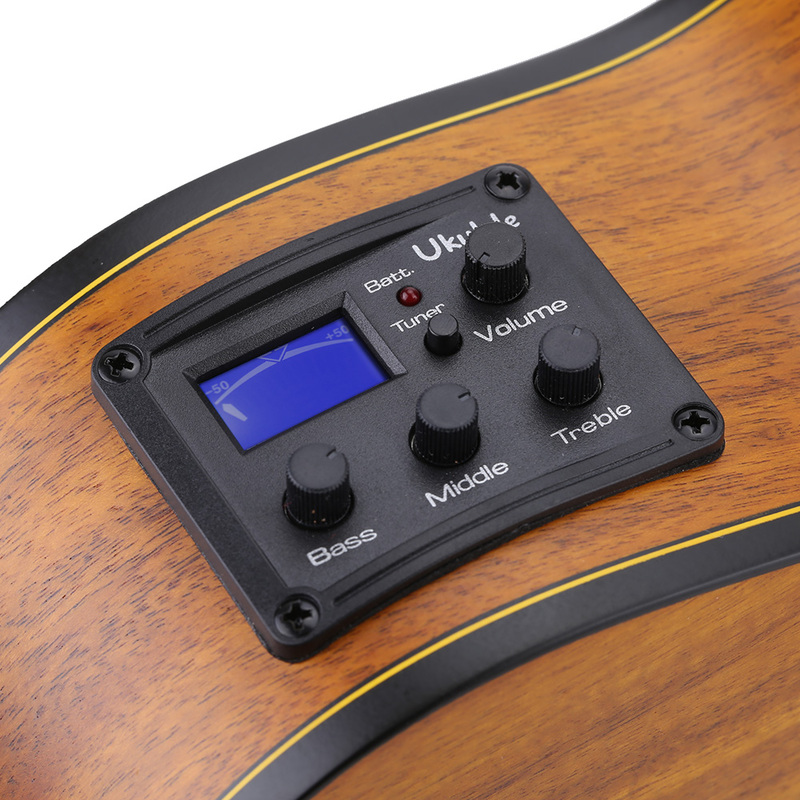 With LED equalizer to adjust batt., tuner, volume, bass, middle and treble. 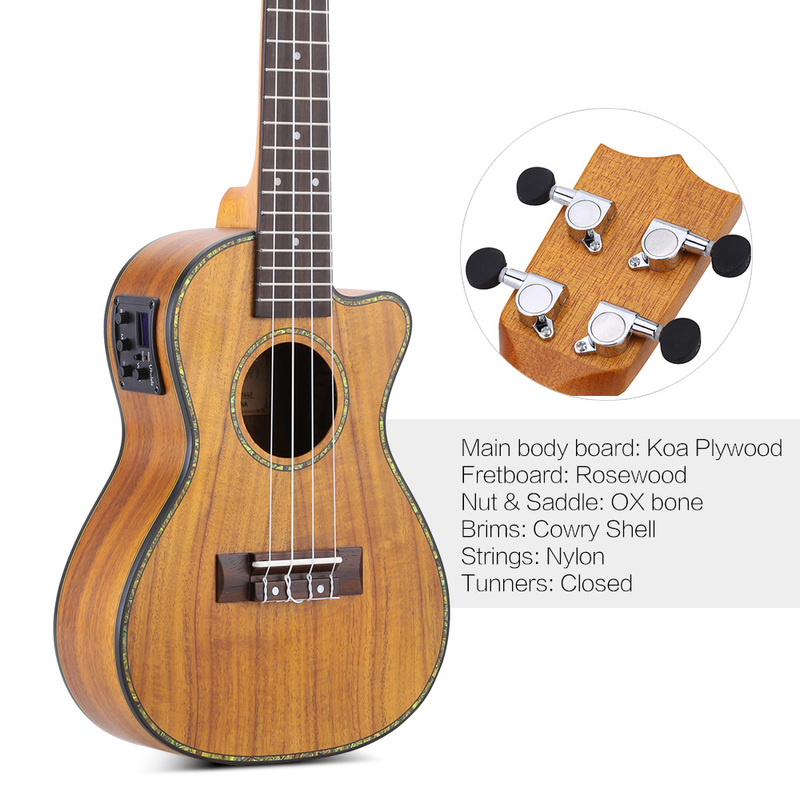 Main body is made of high quality koa.